I read this article and found it very interesting, thought it might be something for you. 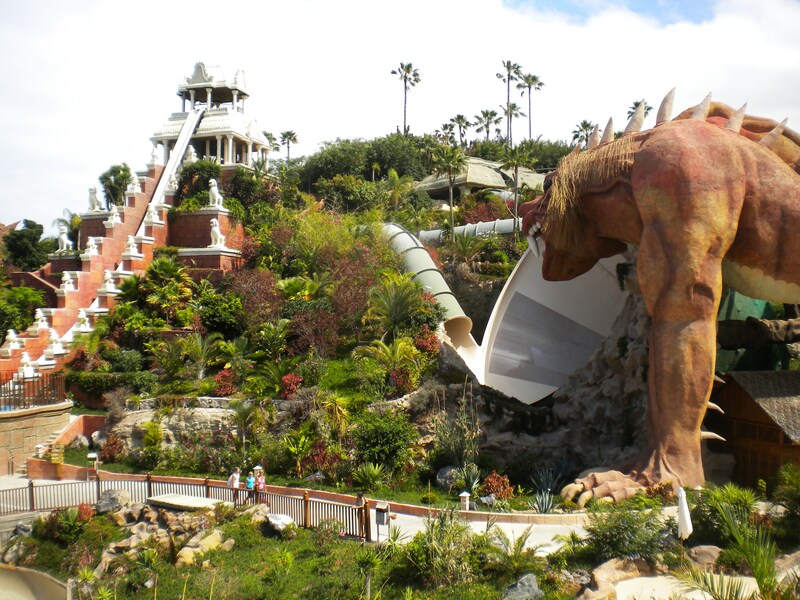 The article is called 15 Nightlife to Enjoy in Tenerife and is located at http://trip-n-travel.com/listicle/15906/. 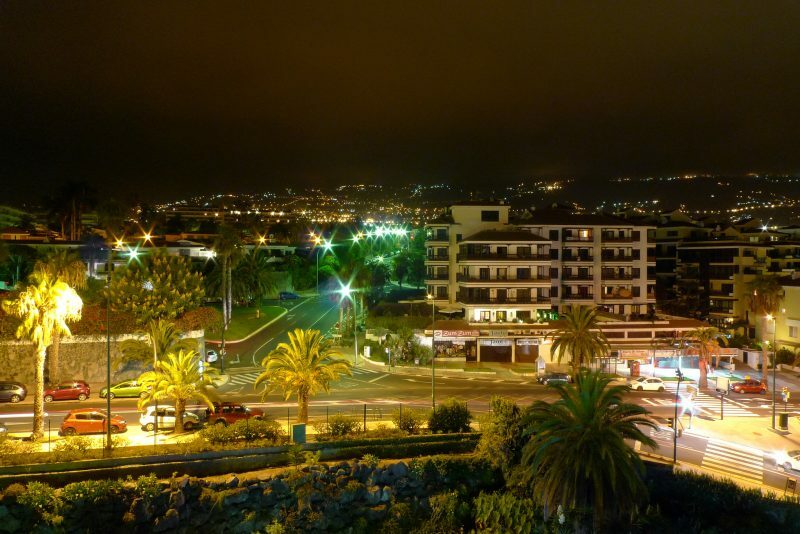 The island of Tenerife is beautiful at night. But it becomes even more beautiful and enjoyable if you know the right places to go. 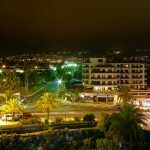 Whether you want to simply enjoy the mountains and the sea, drink cocktails, or have a blast dancing the night away, there are many nightlife spots in Tenerife that will surely suit your preference. Located in downtown Las Americas, the popular O’Neill’s is a party bar perfect for a girls’ or boys’ night out. Dance the night away with a boisterous crowd on their air-conditioned dance floor or just enjoy the beat of the DJ’s music while sipping some cocktails. The staff is friendly, the customer service is great, and the drinks are reasonably priced. 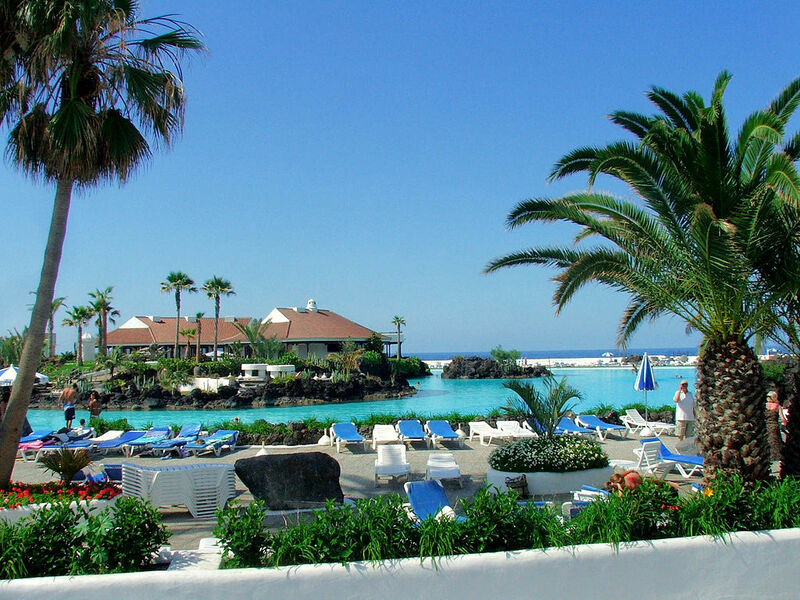 Opposite Troya Beach on Playa de las Americas is one of the finest beach clubs in Tenerife. Papagayo Beach Club offers comfort and pampering, good food and drinks, and quality entertainment. There are five separate bars managed by professional bartenders who create delicious cocktails. There are also terraces with beds where you can relax and enjoy the beautiful view of the beach. Hard Rock Café Tenerife is a great place to enjoy live music, good food, and cocktails. Located in the island’s famous Golden Mile, it can accommodate up to 600 people and has a bar and two terraces. And just like any other Hard Rock Cafés, expect to see iconic memorabilia from famous rock stars displayed on the walls. They also have Hard Rock exclusive merchandise for sale. Considered as one of the best when it comes to the Tenerife nightclub scene, Tramps Tenerife is the perfect place to spend a wild night on the island. The club has an electric atmosphere with the best DJ’s in town. There is a spacious dance floor, four bars, and VIP and seating areas. The drinks are affordable and the staff is very professional yet friendly. Located next to the beach at Costa Adeje, Acanto Cocktail & Lounge Bar is more classy than casual. Aside from cold beer and fruit juices, they also serve exotic cocktails and top shelf spirits. And they don’t just serve peanuts to go with your drink. They have an impressive menu of snacks and tapas. Try their famous Acanto beef burger or their special Spanish omelet. A laid back café lounge bar during the day, Magic Lounge Bar becomes a cool party place after sunset. With live music from Tenerife’s popular music acts, many people go here to enjoy the tunes and dance. There’s also good food (try their gourmet sandwiches) and drinks. Magic Lounge Bar also has a raised terrace where people can view the Safari Center’s musical fountain. The Terrace Bar is a wonderful place to enjoy the night with a group of friends or even with family. The bar has a wide selection of tasty dishes and offers many activities for adults and children. Parents can enjoy some drinks and sports on TV while kids can play on the bouncy castle and have fun face painting. The Terrace Bar also has live music and dancing every Sunday. Cool and trendy, the Monkey Beach Club is the perfect place to relax and unwind by the sea. It is somewhat a fusion of a café, a beach club, and a cocktail bar. The atmosphere is very casual and the décor is on point from the chic furniture to the small monkey statues scattered around. They serve snacks during the day but offers meat, fish, and scrumptious desserts at night. Located in Playa de las Americas just two minutes away from the beach, Leonardo’s is a haven for sports fans. This recently refurbished bar, which is air-conditioned and contemporary in design, has an abundance of flat screens showing all major sporting events. For non-fans, there are cocktails to drink and live music to enjoy performed by some of the island’s best musical acts. Casino Playa de las Américas is one of the three casinos in Tenerife. Located in trendy Adeje, the casino houses a number of games and slot machines including poker and craps, blackjack, and roulette. There is also a decent restaurant and bar inside and a courtyard for smoking. You need a passport to register and the dress code is smart casual. Located at Las Americas near La Troya Beach, La Terrazza del Mare is a restaurant and cocktail bar with a nice and relaxed ambiance. More than just the tasty dishes you can get here, the place is known for their beautiful and delicious cocktails. Locals and tourists alike enjoy sipping their favorite drinks while gazing at the beautiful view outside. For a fun dining experience and the best cocktails in Tenerife, head to Harley’s. Harley’s is an American-themed bar and restaurant located in Puerto Colon. Aside from the cool and diner-like interior, Harley’s is known for their delicious cocktails and impressive flair bartending performances. They also serve American breakfast, lunch, and dinner. Every night, there is live music and sports TV. One of Tenerife’s newer bars, the Mett Bar is a pretty swanky party place located in Playa de las Americas. Cool lighting and giant plasma screens light up the air-conditioned dance floor where people dance to mainstream R&B and 90’s music. There is also a spacious terrace for those who would want to just chill and relax and enjoy their cocktails. Tenerife’s Unique Bar is known for its nightly entertainment. Regulars and newcomers enjoy the musical performances of the club’s amazing singers. One of the crowd’s favorite is the renowned Kenny G who can serenade the audience for hours on end. The Unique Bar has a friendly staff, a nice atmosphere with comfortable sofas and delicious cocktails (try their Pina Colada!). The Original Wigan Pier is a unique pub that has been in the business for more than 20 years. With nightly entertainment like live sports and quizzes that are enjoyed by everyone, the atmosphere in the Original Wigan Pier is cozy, jovial, and friendly. The bar staff is very welcoming and they offer good food and cold beer, all at very reasonable prices. Enjoy the island of Tenerife and all that it has to offer even after the sun sets. Have fun discovering the island’s fun and wonderful nightlife!